Our philosophy is: "to approach the future with an awareness for the environment"
Energy matters: We flick the switch and the light comes on, the oven heats up, the house heats up and machines do their work. Energy, heat and drinking water are some of the comforts of modern life. Recent decades have seen humanity reach a high level of consumption, whilst often neglecting the impact its actions have on the environment. We shall make full use of our knowledge to ensure that these valuable commodities are preserved for future generations to enjoy. 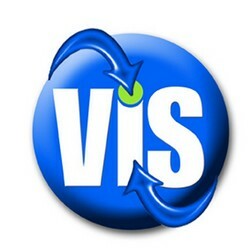 The VIS Group is a modern company with a commitment to meeting the demands of the environmentally aware and to devising effective strategies to support environmentally-conscious lifestyles. What do we know about hydrogen? Everyone has heard of the chemical element hydrogen (H), represented in atomic form by the symbol H2 (hydrogenium, Latin for water producing). Hydro is from the Greek for water and genos for producing. Hydrogen was discovered in 1766 and recognised and named in 1787 by the renowned French chemist Antoine Lavoisier. Hydrogen has a single proton and a single electron, making it the lightest of all chemical elements. It is a combustible, colourless, odourless gas with a mass 14 times lighter than air (density 0.0899 kg/dm3). It turns to a liquid at -253°C, whereupon it weighs 71 g/litre. A single litre of hydrogen contains as much energy as around 2 kg of natural gas or 2.8 kg of petrol. In terms of volume, the energy density of liquid hydrogen is just one third of that of natural gas and one quarter of that of petrol. Compressed hydrogen (at 700 bar) has around three quarters the energy density of liquid hydrogen. H2 is the most abundant element. A large number of compounds are compounds with hydrogen. It occurs primarily in the form of water, but also in many living organisms, in minerals, in natural gas and in crude oil. H2 can form compounds with almost every other chemical element, for example in water, as hydrogen peroxide, ammonia, hydrogen sulphide and in acids. When it forms a compound with another element, H2 either loses or gains an electron. H2 compounds are referred to as hydrides, i.e. hydrogen compounds with one or more chemical elements. The compound partner can also be a metal. Hydrogen is not a primary source of energy, unlike coal, natural gas and crude oil, and is produced from multiple sources, in a similar way to electricity. However, in contrast to electricity, H2 can be stored and transported with ease. There are a number of other 'sources' for hydrogen that may be used for the production of H2, including the by-products of the chemical industry, which until now could only be utilised in a thermic manner, biogas, sewage gas, landfill gas and methanol. There is virtually no need for concern! Hydrogen is highly combustible, and mixed with air produces a detonating gas. Hydrogen also reacts with other elements, but there is no need for concern. The use of hydrogen is as safe, if not safer, than the use of petrol or natural gas. And remember that the city gas once used in Germany and elsewhere was composed largely of hydrogen. It was gradually replaced by natural gas. Hydrogen is a low-risk, ecologically-friendly means of transporting energy. Leaks, i.e. the unavoidable losses from pipes, are hazard-free as the escaping H2 is of no harm to the environment. It is simply released into the atmosphere. Everyone is familiar with hydrogen as an element, but not everyone is aware of its potential as a source of energy. Hydrogen will get people talking, and maybe sooner than we think. The world expects a peaceful revolution – the hydrogen revolution. The world, which seems in a constant state of conflict and turmoil, may finally be able to breathe again, and perhaps very soon. How would hydrogen technology work? The first step is the production of hydrogen, which would (initially) serve as a source of energy, such as in motor vehicles. This would be a major step, which would see the consumption of fuel from oil fall significantly. This would be followed by other consumers of oil such as heating systems and CHPs. There are no consumers for which hydrogen technology would ultimately be off limits. Until now, the energy industry has relied largely on fossil fuels, with crude oil being the most important, in spite of conservative estimates which suggest that reserves will be virtually exhausted within 40 years. It's a very uncertain business, and one that must consider what would ultimately happen if ever shorter delivery times caused oil prices to rise to astronomical levels. Alternative sources of energy, including wind and solar power, have not yet proved a suitable replacement for crude oil. What about the 'dirty fossil fuels', the oil sands, which are so far largely untouched, such as in Canada? They certainly won't be able to salvage the situation, especially when you consider that their use would only intensify global warming. We would not be able to base our energy supply on them. One thing is clear – the next energy crisis is just around the corner, and the developing world will suffer greatly. Hydrogen could be the answer! Hydrogen can help the world to reduce its reliance on oil extracted from the Persian Gulf, one of the most unstable and unpredictable regions on the planet. Oil wars would become a thing of the past. In addition, emissions of carbon dioxide would be reduced dramatically, and concerns about global warming would abate. Given the universal abundance of hydrogen, we would no longer need to worry about the imbalance between countries with and without energy reserves. Poverty one problem less. It is conceivable, that the use of hydrogen could yield development similar to that brought about by the use of steam power and coal in the 19th century, the introduction of the combustion engine and the advances in communications technology over the last 50 years. We haven't yet got around the problem of sustainability. To many it will seem something of a vision, but without visions, there would be no future. The EU has ambitious plans, and although its current recommendation is to continue to recover hydrogen from fossil fuels, its long-term objective is to increase the use of renewable sources for hydrogen production. Once thing is certain, the EU has pledged its commitment to the hydrogen era. We now have the opportunity to engineer wholly new energy structures, and in the history of technology, opportunities like this are rare. We have been gifted one of these rare opportunities, to use hydrogen, the matter of which our sun and the stars are composed, for human purposes – so we have good reason to be excited! Challenges and opportunities. Only those who break new ground today achieve progress tomorrow. Hydrogen can offer scope for a whole range of applications. The last twenty years have seen significant investment in the research of hydrogen, and the results have shown that hydrogen is the most promising source of energy for the future. In addition, in terms of safety, hydrogen also offers good manageability. A lot will depend on how we capitalise on the opportunities that this source of energy presents. Much of what once seemed like a utopia is now a reality. At the beginning of the previous century, one could not imagine that man would one day set foot on the moon. A more recent example of a vision that few thought possible is the rapid advancement of the internet, which went from idea to reality in just a few years. The use of hydrogen as a source of energy was long thought impossible, even dangerous, but researchers' thirst for knowledge combined with the efforts of scientists and the commitment of forward-thinking companies has seen the idea pursued. The engineers at our VIS Group business partners have been working tirelessly for many years on efficient and environmentally-friendly solutions for the production of hydrogen. The development of sustainable concepts for economic application has formed an additional sphere of activity. We will endeavour to work together to use our technological expertise to establish this vital source of energy around the world.